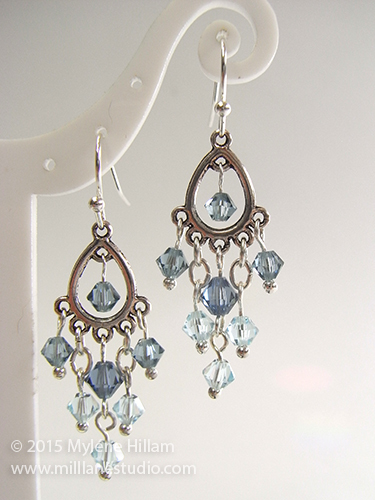 Tiered earrings made on a chandelier fitting add a touch of elegance to an otherwise casual outfit. Teamed with a T-shirt and jeans you can dress up your look quickly and easily with a pair of long, dangly chandelier earrings. And they don't need to be really elaborate to give you the look - you only need a few Swarovski crystals for a really sparkly effect! You can put this pair together in under half an hour. Tools: round nose pliers, flat nose pliers, flush cutters. Put half of all the supplies aside for the second earring. 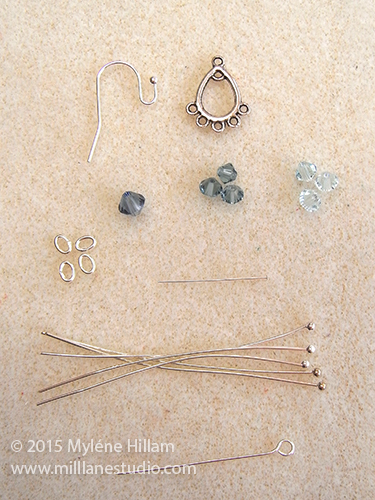 Thread the a 6mm bicone on the eye pin, one of the 4mm Denim Blue bicones on a fine nail head pin and all the remaining crystals on the ball head pins. Bend each pin just above the bead at a 90° angle and trim to 8mm (5/16"). Turn a simple loop on each one. 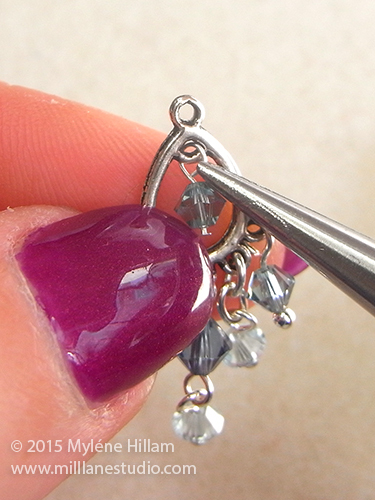 Make sure that the loop on the nail head pin is not too large or the crystal will hang to low inside the chandelier and won't dangle. 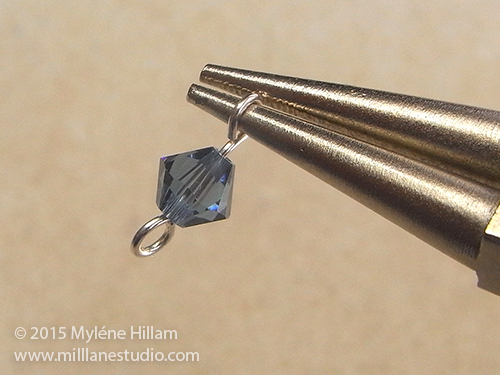 Attach a Light Azore crystal to the 6mm Denim Blue bicone. Connect two oval jump rings together and attach it to the second loop of the chandelier component. Open the loop of another Light Azore crystal and attach it to the bottom jump ring. Repeat this step on the 4th loop of the chandelier component. 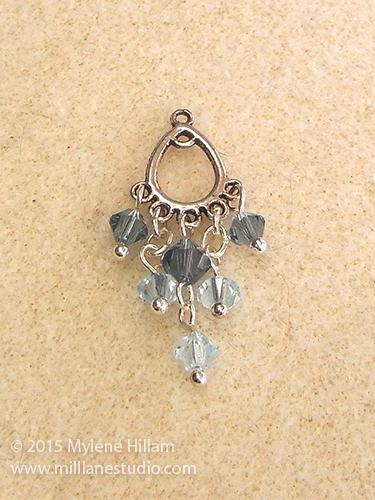 Attach the loop of the 6mm Denim Blue crystal to the centre loop. 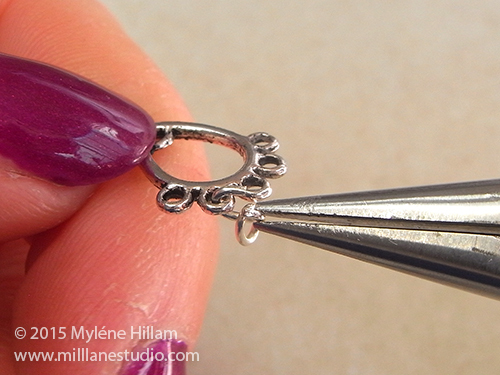 Attach a 4mm Denim Blue bicone (the ones on the ball head pins) to the two outer loops. 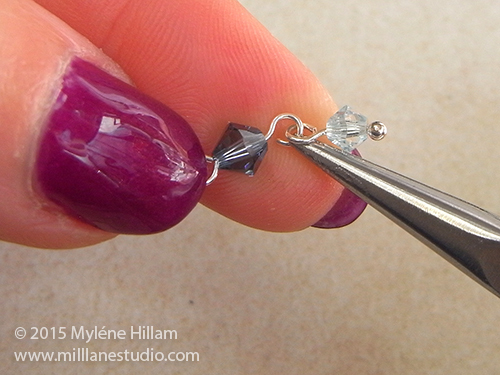 Open the loop of the crystal on the nail head pin and attach it to the inner loop of the chandelier component. It is fiddly so you might have to open the loop quite wide in order to hook the loop of the pin through the loop of the component. 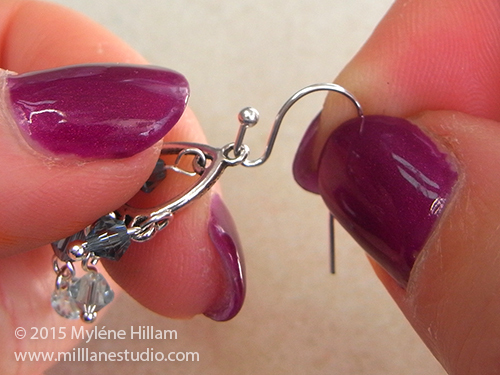 Hook the chandelier component onto the earring wire and securely close it by pressing the ball hook against the earring wire. 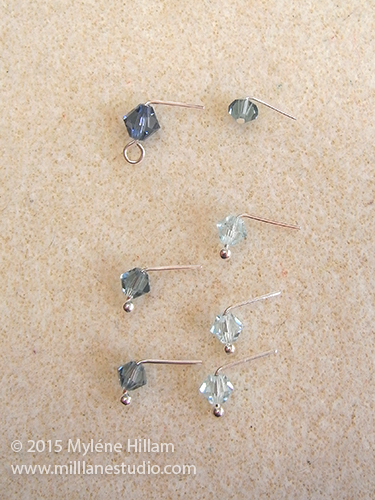 Use the remaining components to make a matching earring and then admire your pretty, sparkly Ice Crystal Earrings.